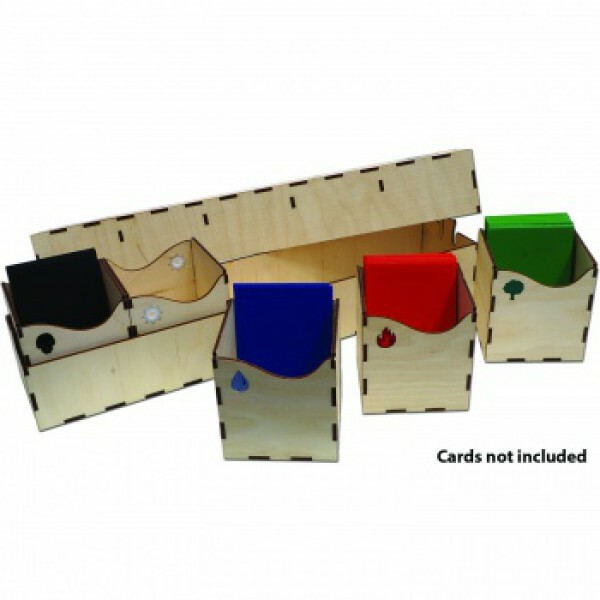 A durable and handy card station to keep single decks, card collections or land cards. There are 5 removeable card compartments, each can keep up to 100 sleeved cards (500 Cards in total). The compartments show decorative acrylic elements and have curved walls to provide good access to cards. The whole wooden box can be locked for secure transport or storage. This product needs to be assembled. No glue necessary, elements are assembled with a hammer. Weiterführende Links zu "Card Station"